Dental implants have become a popular method of replacing missing tooth/teeth. They are used to replace single, few, or all missing teeth. An implant refers to something that is surgically placed inside the bone or soft tissue. Dental implants are either in the form of a small screw or a plate, that is made of titanium and are surgically placed in the jaw bone to replace missing teeth. While many prefer implants instead of bridges, others are worried about the cost of dental implants and hence are in a dilemma while it comes to choosing the best option for replacing missing teeth. Missing teeth need to be replaced for numerous reasons other than cosmetic purposes. Teeth are important for chewing. They also help in maintaining the jaw size, bone structure and position of adjacent and opposing teeth. 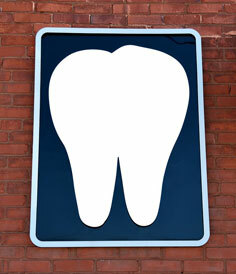 Your dentist may suggest the most suitable option depending on your requirements. While bridges and dentures cost much lesser than an implant, there are several advantages of implants which substantiate their cost. Why can bridges and dentures be troublesome? Although the cost of bridges and dentures is lesser compared to the cost of dental implants, there are a number of drawbacks which need to be noted before opting for it. Are oral implants worth the cost? The cost of dental implants is a psychological barrier which often affects its choice while considering the options for tooth replacement. However, there are several other factors which need to be taken into account while choosing the options for tooth replacement. The drawbacks of the bridges and regular dentures (listed above) is one of such important aspect. The cost-effectiveness of a dental implant was compared with a bridge in a study. It revealed that although an implant cost $261 more than a bridge, it lasted for 10.4% longer period compared to a bridge. Therefore, the cost of dental implants should not be the only factor to be taken into account while choosing the best option to replace missing teeth. Schedule a visit to the dentist to know how an implant can be the best option for you. A recent study has noted that psychological barriers like fear of the dentist or dental treatment lead to higher number of teeth being affected by decay and eventually loss of teeth. Hence, it is time to overcome such fears and meet a dentist to know about your oral hygiene and tooth health status. Dental implants are one of the better options in many people and it is especially suited for those with a good general health status, good oral hygiene and those with a reasonably good amount of bone tissue in the jaw bone.